How to Meet Your Financial Goals by Investing in Mutual Funds? Mid-term goals are those that you plan to achieve in 4 to 6 years. 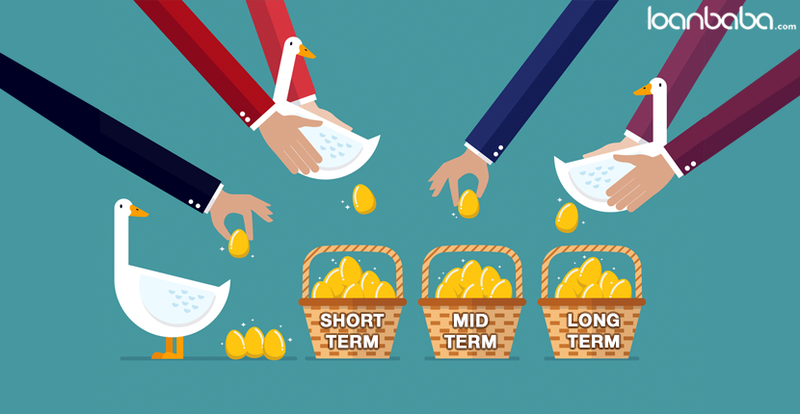 Maximum potential of Mutual Funds can be achieved in the long run, but there a quite a few offerings that would enable you to fulfil your mid-term or short-term goals. What is the first and foremost investment option that you think about when you wish to save up for purchasing a vehicle or renovating your house? Besides Fixed Deposit which is secure, safe, and consistently fruitful, you can also consider short-term Debt Funds that can be better. 1. Short-Term Debt Funds are becoming more popular and people are choosing them over FDs. The reason is that short-term Debt Funds provide better returns than Fixed Deposits and are tax-efficient as well. Investment for 3 years in a Debt Fund results in (a) gains being added to the investor’s income and (b) taxes being applied according to the investor’s salary bracket. These benefits are similar to the benefits one gets from a FD. 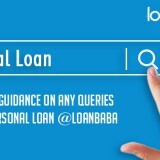 However, unlike Fixed Deposits, no TDS is deducted on the interests earned in case of a Short-Term Debt Fund. Just to remind you: In case of Fixed Deposits, banks deduct TDS when the accrued interest is more than Rs 10,000. Investors enjoy an indexation benefit when they invest in Debt Funds for a period exceeding 3 years. This implies that your gains get taxed only after taking into account the inflation rate over the investment period. This makes sure that an investor does not feel monetarily deprived. 2. Income Fund is another type of Debt Fund. These funds have 5-year maturity periods and change according to the rise and fall in the rate of interest. The value of an Income Fund increases when the rate of interest drops, and vice-versa. A fall in the rate of interest during this financial year has turned everybody’s attention towards Income Funds. These are becoming more powerful as the RBI has hinted more cuts in the rate of interest in future. Income Funds might be under risk due to changes in the rates of interest. Short Term Debt Funds are not usually subject to a large extent to changes in the rates of interest. The return on a Short Term Debt Fund is primarily, the interest accumulated on the bonds. Thus, although steady, the returns are not very juicy. How to Invest in a Short Term Debt Fund? One of the simplest ways is to start a SIP or Systematic Investment Plan. You can keep on investing certain sums of money in your Debt Fund, at consistent intervals. Every instalment gets treated as a different investment. This needs to be kept in mind as Debt Funds have an exit load which is a small percentage of your investment that you would need to sacrifice if and when you choose to withdraw funds prior to the completion of the minimum tenure. This tenure usually ranges from six months to eighteen months. 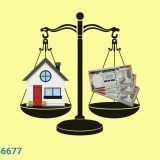 As every instalment is considered as a separate investment, you would need to calculate the tenure separately for every EMI. Although the exit load amount seems like a harmless sum, it can eat away a considerable percentage from your entire investment income. You should be careful about that. If you wish to invest for four to six years, you can fuel your risk appetite. You can take calculated risks by making investments in a balanced fund. When one opts for a balanced fund, their money gets invested in debt and equity instruments together. Equities happen to be stocks which we know to be risky. Because of this risk, balanced funds make investments in debt as well. 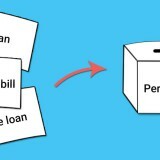 The debt portion works as a cushion and covers the impact if the equity portion is unable to reap great rewards. However, a combination of debt and equity largely increases the investor’s chances of reaping attractive returns with just a fair percentage of risk. 1. Equity Oriented: A larger portion of your funds in invested in stocks or equities. You are entitled to every advantage of equity funds. If your investment tenure is more than 12 months, your gains are tax-free. Moreover, if the stock markets go up, returns you reap are a windfall. However, equities have risks attached. Good times yield good returns, but bad times might bring losses. 2. Debt Oriented: A larger portion of your funds get invested in Debt Funds. Although lower returns are offered, better security is assured in comparison to equity-oriented balanced funds. However, you cannot enjoy all the tax benefits offered by the equity-oriented balanced funds. Earnings from investments of less than 3 years are taxed according to the investor’s income slab. Investment of more than 3 years gets taxed at 20% after indexation is factored in. However, all Mutual Fund institutions presently offer equity-oriented balanced funds only, thus enabling the investor enjoy tax benefits. Dividends should be kept in mind while discussing Balanced Funds. A large number of fund companies provide investors with monthly dividends. The dividends received by investors who sign up for a fund from these companies are not what they earn on their fund. It is their own money paid out to them on a monthly basis. However, taking dividends lowers the Net Asset Value of your fund. The funding institutions are also not liable to continuously pay you a dividend if your fund suffers a hit or the markets fail to perform well. You should be prepared for a setback during such times. If you are being offered dividends, make sure that you have a thorough understanding of the plan before you give your consent. When you plan for long-term investment, Mutual Funds are what you should consider. Irrespective of the reason behind your investment, mutual Funds are amazing investment tools for the long term. When you consider Mutual Funds as an investment tool for long term, you can invest in small-cap, mid-cap, multi-cap, and large-cap funds. 1. Large Cap Funds invest in large-cap companies. Due to an impressive track record, the stock prices of these companies are considerably stable. They are able to endure the stock-market fluctuations, to a large extent, with minimum swing in both directions. The low volatility of these funds offers average returns and high security. 2. Small-Cap Fund is extremely vulnerable to market ups and downs and thus is a risky option. However, the reward for choosing it is the attractive returns. If the fund swings high up, you are to be rewarded richly. But, you should never ignore the risks. 3. Multi-Cap and Mid-Cap Funds are midway between the two above-discussed funds. Multi-cap Fund is a wiser choice as your money gets diversified, thus providing you a balance of returns and risks. You can get the returns of a small-cap fund and the security of a large-cap one. Never put all your eggs in one basket, i.e. never invest all your money at one place. Diversify your investment across various kinds of Mutual Funds. Try to achieve a healthy combination of returns and risks.